The average adult consumes 22 teaspoons of sugar per day, which is nearly half a cup. Not only are diets high in sugar a concern for type 2 diabetes, but can also raise blood pressure, cholesterol levels, increase the risk of heart disease… and also cause weight gain. According to the American Heart Association, adult women should consume no more than 6 teaspoons of added sugars per day (9 teaspoons for men). But since nutrition labels are measured in grams, remember this: 4 grams of sugar is equal to about 1 teaspoon. For example: If the nutrition label of a chocolate bar lists 20 grams of sugar, that single chocolate bar contains 4 teaspoons of added sugar. Believe it or not, added sugars can be found foods outside of candy. CONDIMENTS - often referred to as “empty calories” condiments are one of the most common places to find added sugars. Furthermore, it’s a place where we aren’t as stringing with measuring, so consuming more than 1 serving is fairly common. A single tablespoon of ketchup contains 1 teaspoon of sugar. Many salad dressings contain 4-7 grams of sugar per serving. And don't let the “fat-free” labels fool you; those contain sugar too! Pasta sauces are another culprits in the sugar scene as well. YOGURT - While yogurts promote the benefits of calcium, vitamins, and nutrients, a quick glance at most yogurt labels reveal a surprising amount of added sugars. One yogurt can contain up to 4.5 teaspoons of sugar. SNACK BARS - these grab and go’s are convenient snacks for busy families trying to stay fueled between errands, after-school activities and such. But some have the sugar equivalent of a candy bar. CEREAL - we all realize now that most cereals we loved as a kid are high in sugar (that’s what made them taste so good when we were younger, right?). But it’s not just the “kid-friendly” cereals that are offenders. Many labeled “high fiber” or “bran” contain just as much sugar as our favorite kid cereals. If this list has you throwing your hands up saying, “Great. Everything has sugar. Everything is bad for me. So, what CAN I eat?”... Remain calm. This isn’t a rule book telling you what to give up, but rather to arm you with some awareness to ensure you are equipped with the information to achieve your goals. Our goal is to not only to provide you with the knowledge and tools to be successful LONG TERM in your wellness journey but to also help you find balance in your everyday lifestyle. If you’ve found even one thing that you can easily swap for lower-sugar options, you’re already better off than you were 5 minutes ago. Coming off a long winter, the much anticipated summertime is just around the corner! Memorial Day get-togethers, BBQ’s, pool parties are all awaiting our attendance. So, while they are a great opportunity to celebrate with friends, these get-togethers can cause (not-so-wonderful) results on the waistline. Is it possible to find a compromise between enjoying your favorite foods… and also consider it healthy? Here are a few popular summer BBQ foods/dishes, as well as popular ingredients, that can be modified to fall on the “healthy side.” We promise to offer solutions that provide all the deliciousness, but save you on the guilt. Substitute low-fat or nonfat plain Greek yogurt or nonfat sour cream for regular sour cream in any recipe is one of the easiest ways to cut unwanted calories/fat without sacrificing taste. An ounce of sour cream contains about 60 calories, while an ounce of nonfat sour cream has about 25. An even better replacement would be Greek yogurt: ounce of nonfat plain Greek yogurt has only 15-20 calories… not to mention the added protein. 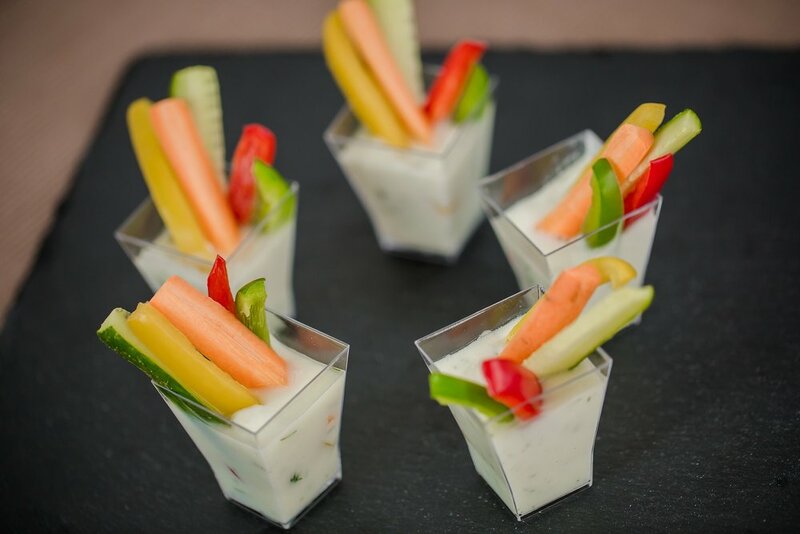 Enjoy a serving of dip, load your plate with dipping veggies (instead of tortilla chips), and enjoy! Low fat, high protein Potato Salad: this traditional side dish is found at just about every BBQ or summer get-together. A few modifications can take this familiar favorite up on the healthy scale. Do you add eggs to your potato salad? Use only the egg whites, or remove half of the yolks to cut down on the fat. Rather than mayonnaise, use non-fat plain Greek yogurt to make this recipe lower in fat and higher in protein! Add celery? Don’t stop there! Add in more veggies: Red, orange, yellow bell peppers, green onions, and/or carrots. Not only will this add a flavorful crunch to your potato salad, you just ramped up it’s nutritional value. If you enjoy bacon, swap for lean turkey bacon. Lower-sodium Green Bean Casserole: this classic dish is a popular choice at many holiday gatherings thanks to its easy preparation and delicious taste. A few simple substitutions can clean up this recipe, cut down the sodium and pack it with some protein. Swap the cream of mushroom for low fat or nonfat plain Greek yogurt. It provides all the creaminess, without the fat... and adds a good serving of protein. Choosing no salt added green beans; a quick peak at the nutrition label of green beans can be a shock factor with one serving yielding 400mg of sodium. If your recipe calls for butter or chicken broth, select a no salt added chicken stock. Some versions of this recipe use soy sauce; consider a low sodium soy sauce, or a natural soy alternative such as Braggs Liquid Aminos. Natural soy alternatives all the flavor, without any of the artificial or MSGs of soy sauce. Of course, you can take this recipe one step healthier by making your own crunchy onion toppings … or use the store-bought ones, and be super proud that you already gave this recipe a makeover ten-fold with the above ingredient swaps. One of the largest areas where overindulgence can happen is through dessert. The amount of sugar, butter, and oils in most recipes not only are counterintuitive to your fitness goals… but the more it’s consumed, the more the body craves. So, let’s highlight a few ingredient swaps for just about any dessert that will convert the recipe to a healthier alternative. 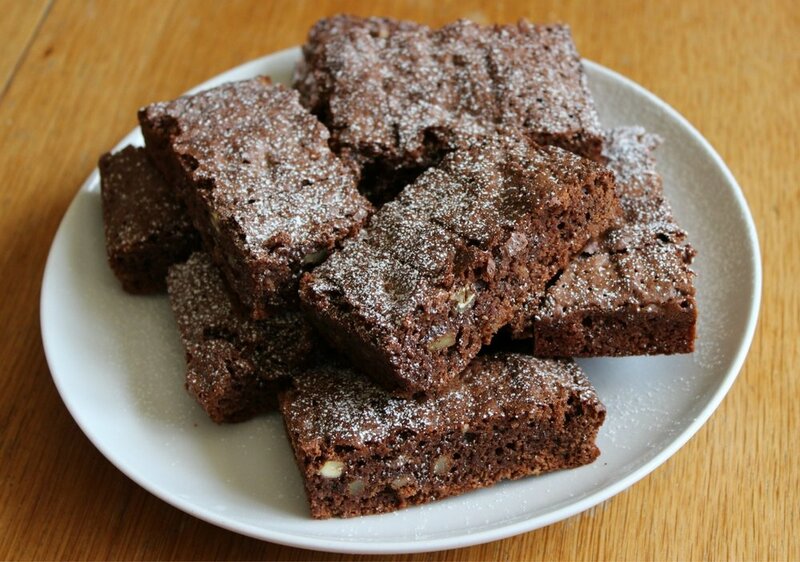 Brownie Lovers: Substitute flour for black beans. Replace 1 cup of flour for 1 cup of black beans rinsed, cooked, drained and pureed. This switch will cut some of the calories and add protein. Sugar: Refined sugars can be replaced with a variety of healthier sugar substitutes. Stevia leaf extract (0 calorie natural sweetener), coconut sugar (loaded with potassium), real maple syrup or honey (rich in antioxidants), or unsweetened apple sauce are all great sugar substitutes. Butter: Swapping 1 cup of butter with ½ cup of butter and ¼ cup of nonfat Greek yogurt will cut the fat in half and quadruple the amount of protein in the recipe. So, there you have it. Recipes to try, ingredients to keep on hand, and the peace of mind that you CAN enjoy those summer get-togethers, indulge in some favorite dishes, and stay the course toward your goals. Enjoy! So how does a woman with no knowledge of weight training get started?